The beveled mirror was ready for pickup this week, so I finally got to finish this mirror. Finishing it off was a simple job just sit the mirror in the rabbets, and screw in the backing . I am very happy with the finished product, also surprised at the amount of work that goes into a relatively small piece. The final product is really looking great. 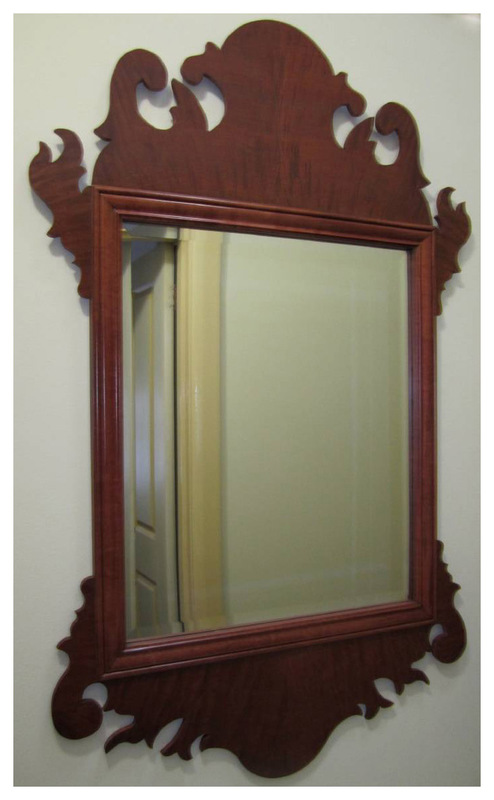 The mirror with the frame has a beautiful design and borders given in wood work matches the glass very well. For such kind of universally used mirrors my relatives usually refer to universal furniture’s.